Tripoli will be hosting a research launch at the Sears field in Samson Al, on Feb 28th. 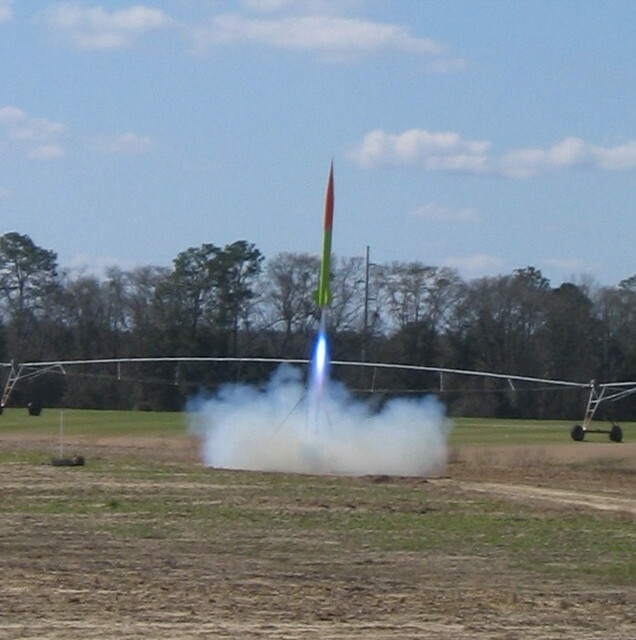 You must be a Tripoli member to fly at the launch, and L2 or higher to fly research motors. Everyone is welcome to come and watch. We are expecting two USLI teams to come with their university rockets. The launch will start around 9:30, and will last all day. Please note, research launches are more laid back, less rockets launched, and mostly high power stuff. Something could go boom too. We will have at least a high power pad with small rail and probably a large rail as well. If you wish to fly Estes, bring your own pad please. There will be a $10 range fee. The February 7th launch was held under beautiful blue skies and comfortable temps. However, there was a stiff wind which caused a number of rockets to drift into the woods. Congratulations are in order: Kendall Brent achieved his level 3 Certification on his 7.5 inch diameter rocket flown on a Loki M2550 Loki Blue. Russ Roberts made a successful Level 2 flight on his 4 inch Star Breaker on a K550. Eldon from Tuskegee made his Level 1 with a Loc rocket on an I357. Good job guys! We enjoyed having Doug Harrell and two TARC students from Liberty County High School in Florida. They got some experience egg lofting. Also Justin Sanders instructor at Dothan Technology Center attended and got plenty of info for using rocketry in his pre-engineering program. Applewhite monocopters were debuted at SEARS by Rick Gutknecht and John Hansel. Roy Houchin won the special event drawing. Youth: Decorate eggs as Eggstronauts and have them flown. Challenge: Egg Loft Duration - Timed single egg loft with 18mm C motor. Recover rocket/egg as one piece. Egg must not crack. Longest time wins bragging rights. Advanced: Billiard Ball Loft. Note must be flown from away cell. Consider this practice/demo we can have a duration contest in the future. See rules at end of email. I will bring some billiard balls for those who would like to try the event in the future. Since we did not have a January launch you can do any of these events as well. Advanced: Fly a monocopter rocket. All event flights are on a green flight card and will be used to draw a winner for a prize pool pick. SEARS T Shirts will be available for pickup if you requested one. Billard Ball Bonanza Rules:The winner will be the longest time aloft for the ball. The launches will be from the away cell at least 500 feet from cars and spectators.The launch rod will be tilted slightly away from the flight line. You must announce that the launch is for the record prior to the the countdown. NAR Safety code will be enforced.4 to 1 minimum thrust to weight. Parachute must be sized so no part descends faster than 21 f/s. A standard billiard ball is to be used, approx. 2 1/4″ dia. 5 1/2 to 6 oz. The ball may not be cut up or modified other than drilled for retention. Rockets must pass RSO and conform to all site rules. Ball must be drilled to retain it. A thru hole with bolt /eyelet. 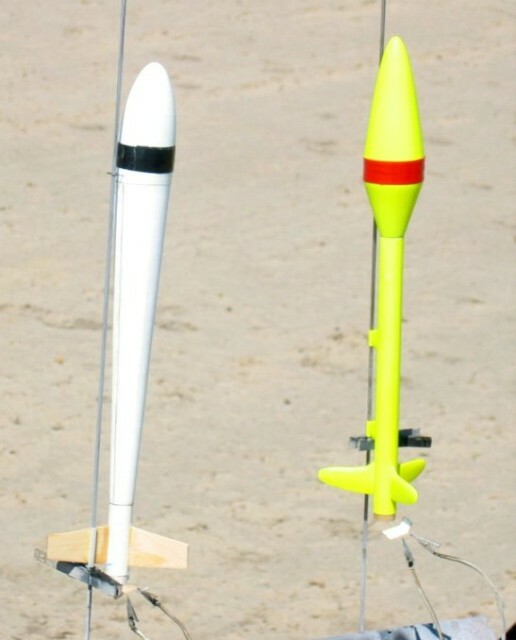 Rockets will be launched from tower, rail, or min. 1/4″ rod. *Total Impulse shall be less than or equal to 40 newton-seconds. * (Note minimum thrust to weight above) Timed from rocket liftoff to touchdown of the ball or loss of sight by the timer.Only one timer required who is not the flier. No maximum size or number restrictions on parachute(s). 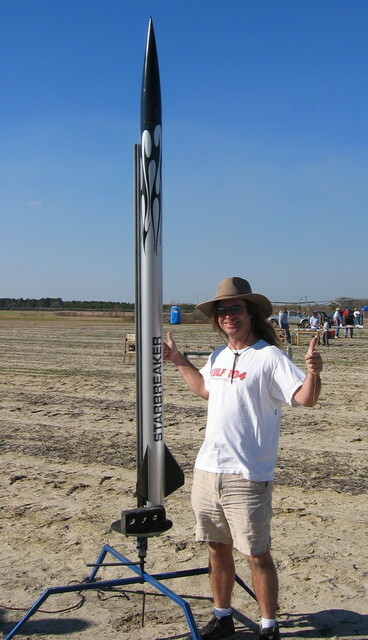 You are currently browsing the SouthEast Alabama Rocketry Society weblog archives for February, 2009.